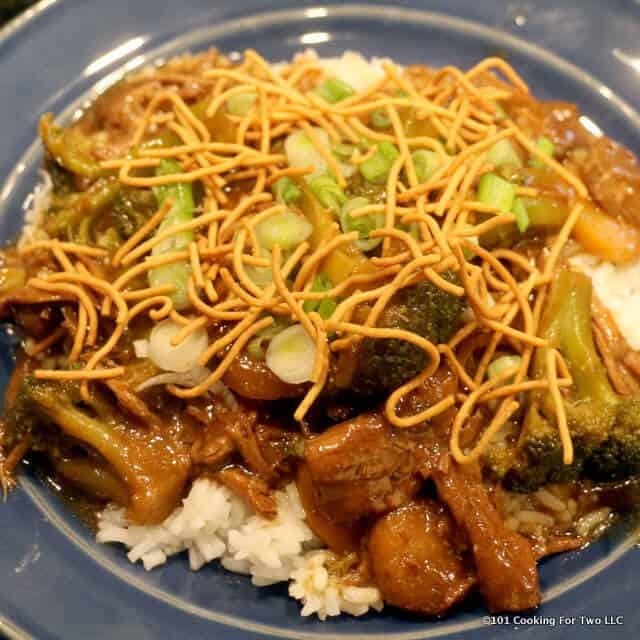 Beef and broccoli is a top Chinese favorite that we all love. 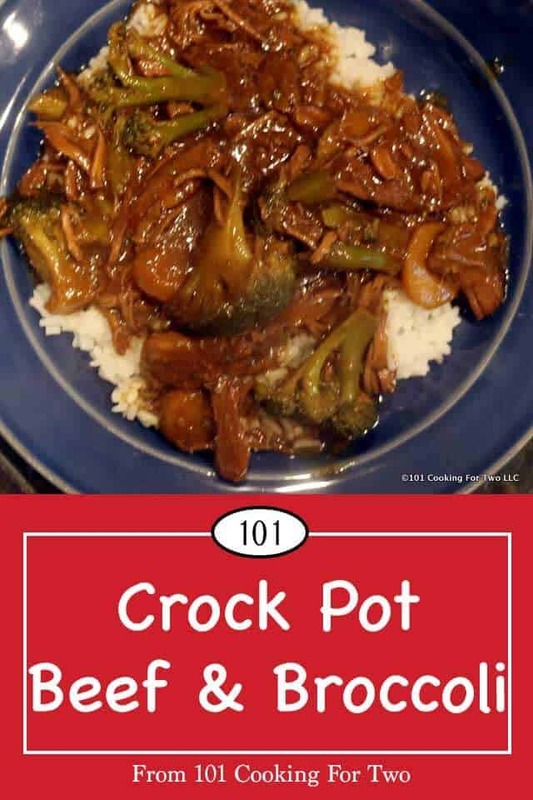 Now you can have it at home with this easy to follow crock pot recipe. A great Chinese dish the whole family will enjoy. 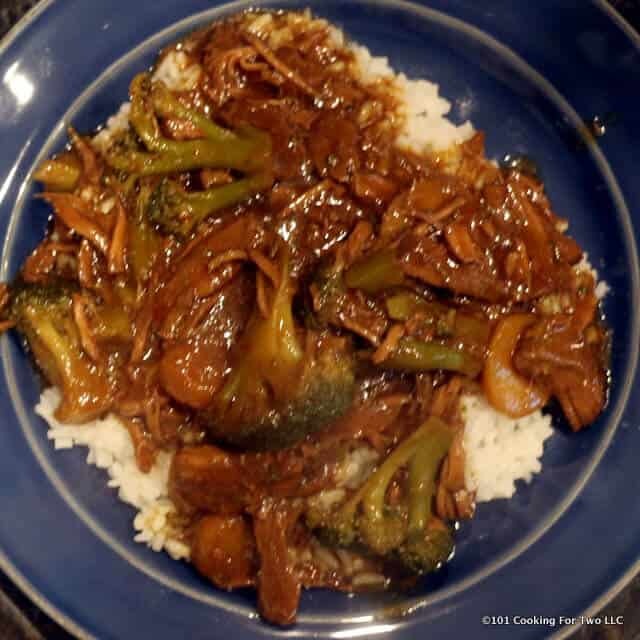 Google will give you lots of examples most of which are nearly identical, but this Food.com Crock Pot Beef and Broccoli recipe will do as the inspiration piece. But there were a few issues. They called for 1 pound of meat… I wanted more meat. But the biggest is I wanted more “sauce.” I want some “gravy” for my rice. Since they all called for 1 cup of broth, I just used the whole can. I increase the garlic some but not the soy sauce or brown sugar. I thought both were a little heavy. A very nice middle of the road four. Notes: The beef needs to have some marbling but otherwise fairly leans. I went with an “English cut roast, but others would do. Fresh broccoli can be used, but I would suggest steaming the broccoli and adding it at about the 5 hours 30-minute mark and the corn starch at the same time. 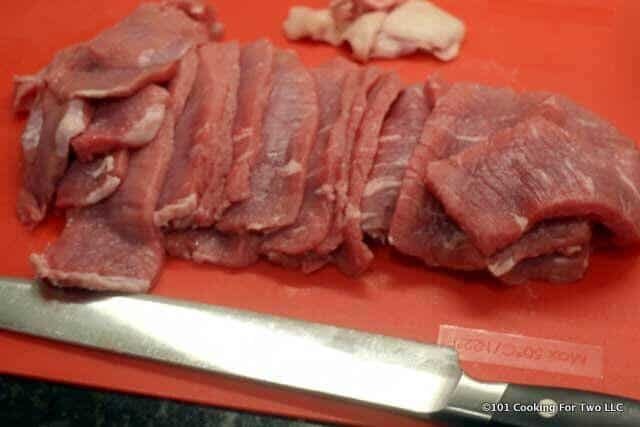 Trim 1 1/2 pound beef roast and slice into 1/8 inch slices across the grain. 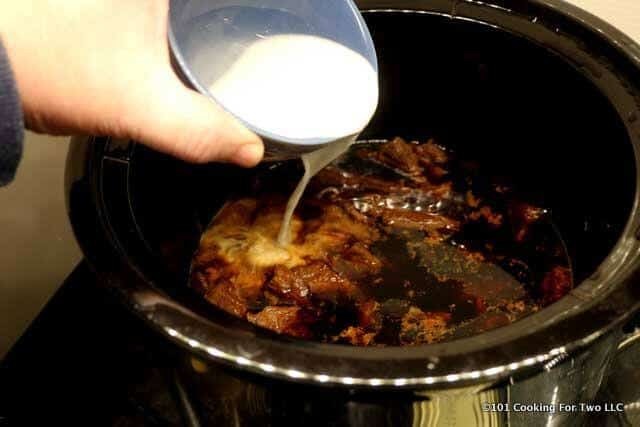 In a larger crock pot (6 quarts or so) add one 14 ounces can beef broth, 1/2 cup soy sauce, 1/3 cup brown sugar, one tablespoon sesame oil, 1/4 teaspoon crushed red pepper and four cloves crushed or minced garlic. Mix well. Add the beef to the crock pot and cook for 6 hours. 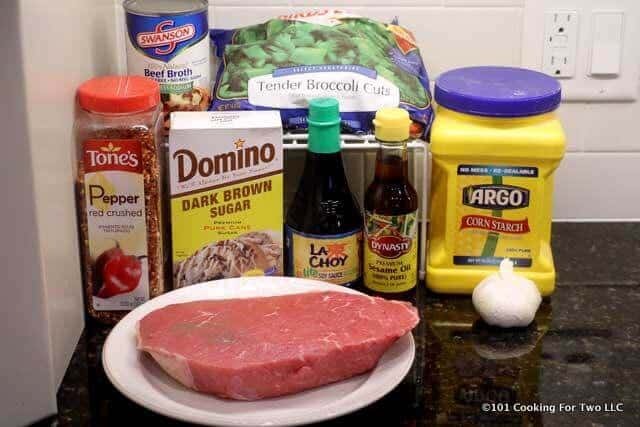 At the 5 hour mark mix two tablespoons cornstarch with 1/4 cup cold water. Add the cornstarch mixture and mix well. Add one pound bag of frozen broccoli (about four cups). I added one drained 8 oz. can of sliced water chestnuts also. Increase crock pot to high and cook for the final hour. Serve over rice and garnish as you wish. 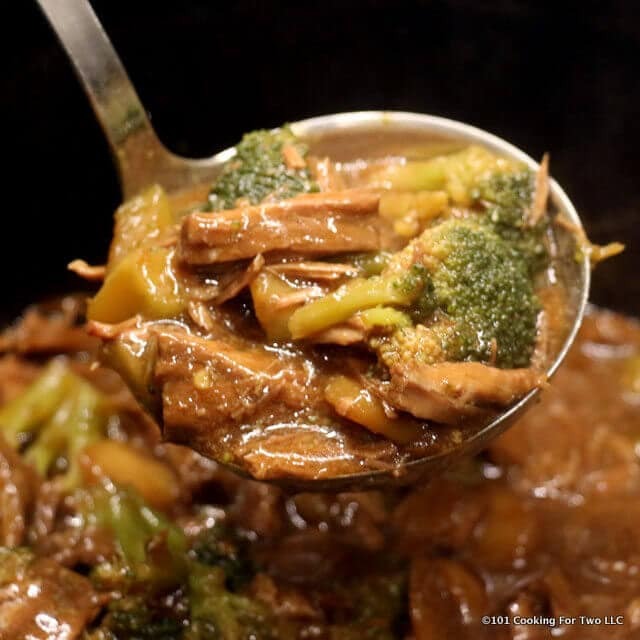 Beef and broccoli is a top Chinese favorite that we all love. 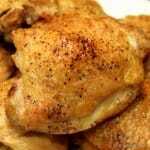 Now you can have it at home with this easy to follow crock pot recipe. 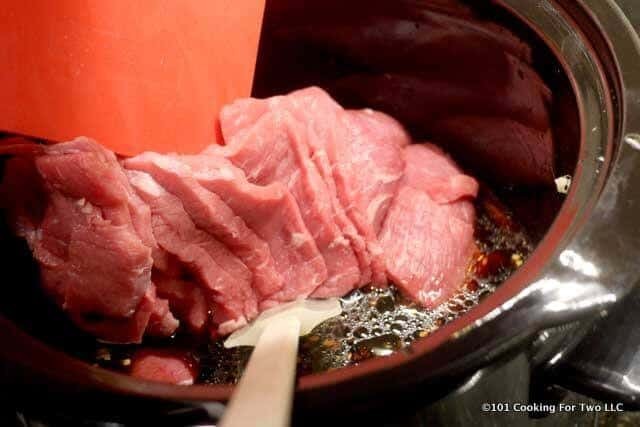 Add the beef to the crock pot and cook for 6 hours. 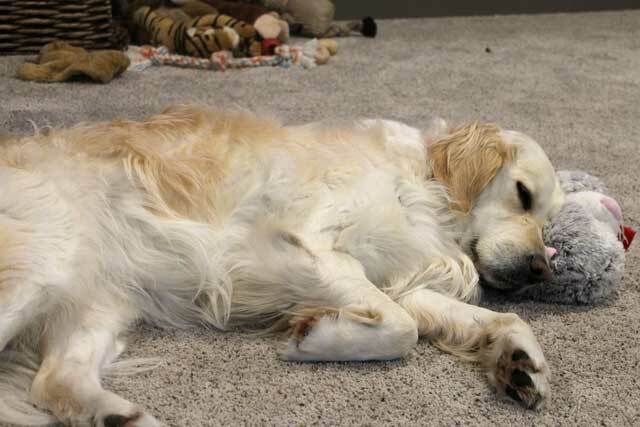 At the 5-hour mark mix two tablespoons cornstarch with 1/4 cup cold water. Add the cornstarch mixture and mix well. Add a one pound bag of frozen broccoli (about four cups). I added one drained 8 oz. can of sliced water chestnuts also. Any substitute for the sesame oil? We are fulltime RV’ers so cupboard space is at a premium; just don’t use sesame oil frequently enough to justify the space. By the way, we love your recipes! Most of the time we have the necessary ingredients without any special purchases. Thank you so much! You could sub in any nut oil… peanut for example. But to me this recipe has enough fat from the beef so I don’t need oil/fat but it was there for some taste. However that is only a small component so I would just leave it out. If you have toasted sesame seeds toss some on at the end. I try to keep my recipes to “everyday” things. I don’t like to hunt down a special ingredient and I’m sure my readers don’t. Outside of a few Pensey spice things, I try to keep it to your average American pantry. 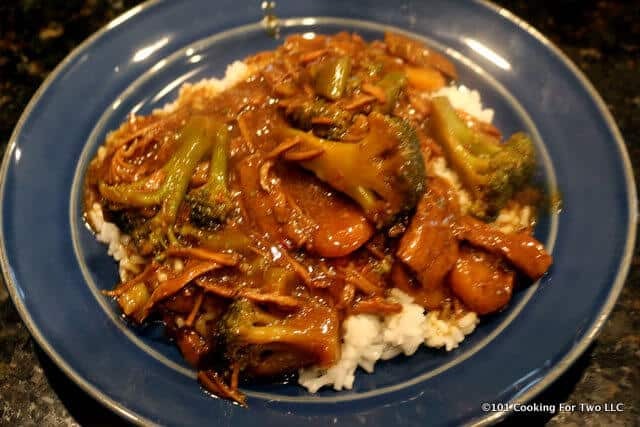 I used arrowroot instead of corn starch but it didn’t seem to thicken the sauce adequately. I used fresh broccoli and one cubed potato instead of water chestnuts. Does the fact that the broccoli [in your recipe] was frozen affect cooking time? The complaints I got were that the potato was too soft and the broccoli was not crisp enough. Hi Peter, Sorry for the delay. 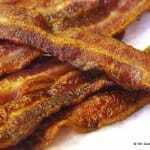 I have arrowroot but have not used it in a crock pot yet. The corn starch works fairly well here. Frozen broccoli is partially cooked so it just needs to get back to temp. It did drop the temp way down for about 45 minutes. The model recipe used cooked broccoli and put it in at 30 minutes left. I added 30 minutes for the frozen factor and that seems just right. 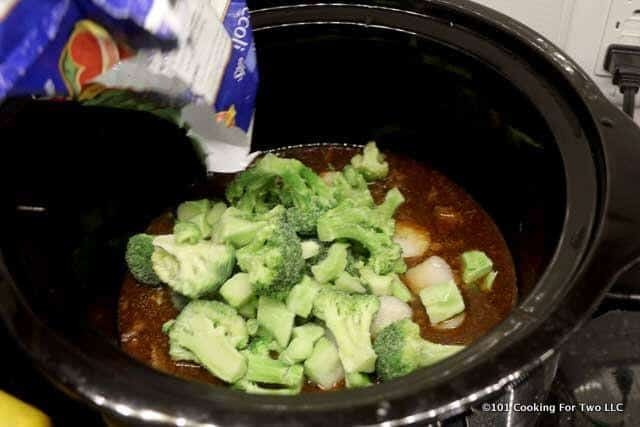 Since most crock pots are running close to boiling that far into cooking, the 1 hour seems to have been too much for your fresh broccoli and potatoes. Isn’t the website about cooking for 2? I don’t have a 6 qt CrockPot. 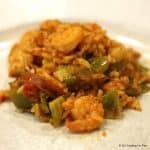 Can this recipe be managed in a 3-1/2 qt CrockPot or do I have to reduce the quantities proportionally? 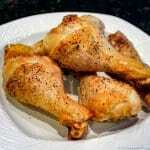 Yep it is a web site about cooking for two but recipes are frequently for more than two servings. I have a discussion about this in the menu “about the blog” section. You can cut it down but the lowest “common denominator” is the can of broth. I use it or toss it. Yes I believe it would fit in a 3 1/2 qt. It might be above the 75% I like to stay under at the end with the broccoli.